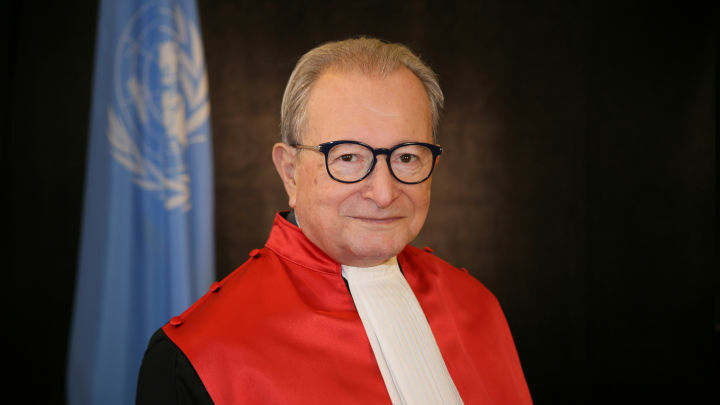 The President of the International Residual Mechanism for Criminal Tribunals (Mechanism), Judge Carmel Agius, will conduct an official visit to the Republic of Rwanda from 1 to 7 April 2019. During this week, President Agius will hold a series of meetings with high-level Government officials. In addition, he will visit a number of memorial sites and meet with members of civil society, including victims’ groups. As part of his programme, the President will also spend time with staff from the Mechanism’s field office in Kigali. President Agius will further participate in the Kwibuka25 International Conference, and conclude his visit by attending the official ceremony marking the "25th Commemoration of the 1994 Genocide Against the Tutsi" on Sunday, April 7 2019. This will be President Agius’ first visit to the Republic of Rwanda in his capacity as President of the Mechanism, in line with his stated intention to foster close ties between the Mechanism and the Government and people of Rwanda. President Agius assumed the Presidency of the Mechanism on 19 January 2019, having been a Judge of the Mechanism since its inception in 2012. He previously served for 16 years as a Judge of the International Criminal Tribunal for the former Yugoslavia, including as its Vice-President (2011-2015) and final President (2015-2017).